Las Vegas hosts more than 22,000 conventions such as meetings and trade shows each year, with over 6 million visitors attending. 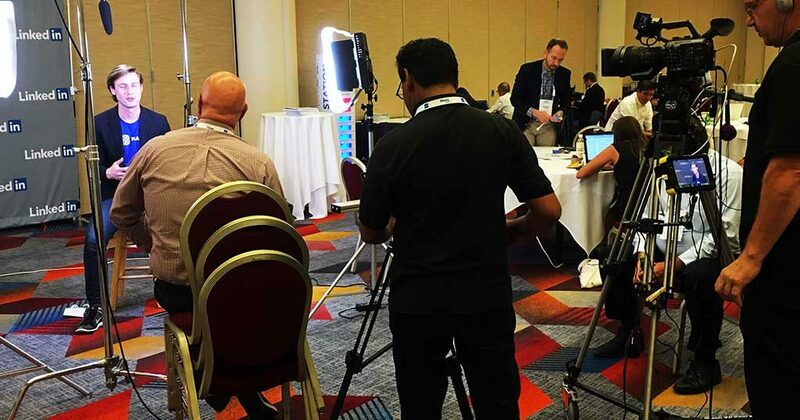 Aardvark Video has produced video projects for hundreds of trade show organizers, exhibitors and attendees at CES, NAB, Shot Show, Infocomm, Shoptalk, SEMA and hundreds more. We guarantee you’ll be pleased with what we do for your project. Presenters spend months preparing and rehearsing for the perfect presentation. Will people remember what was said? Did everyone who should have seen the presentation actually see it? 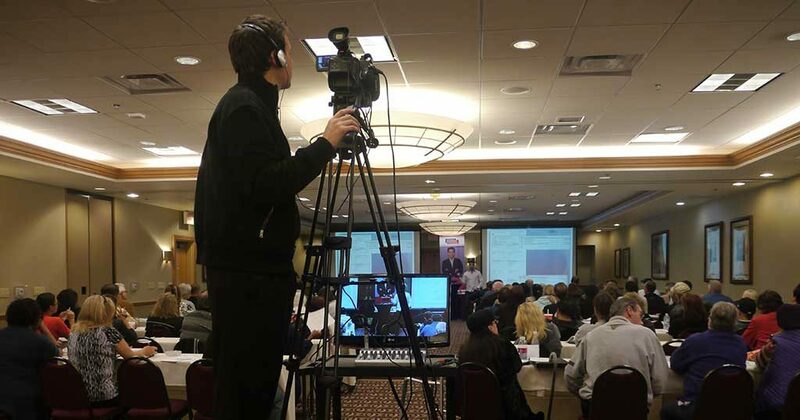 Conference Videos allow for information to be distributed to a much larger audience via the web and social media. 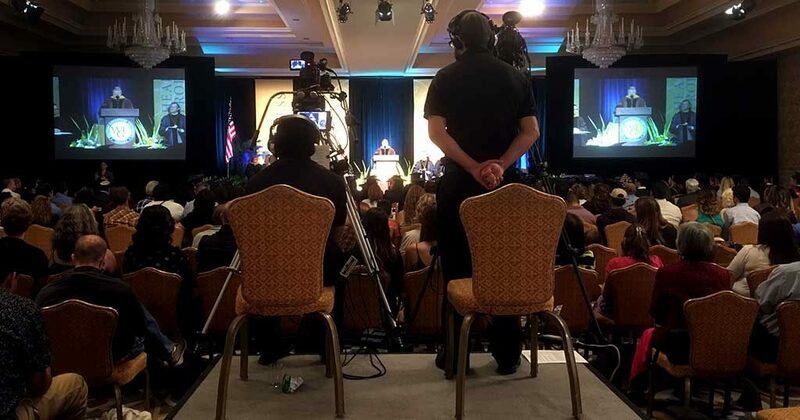 We can live-stream your event to Youtube, Facebook, your website or wherever you want and even set it up for Pay-Per-View or package it for resale to increase the return on your show investment. Booth visitors, your best salespeople and current clients are an ideal source for testimonial interviews explaining the advantages of your product or service. Product announcements, interviews, demos and other events can all be recorded and shared; often packaged into a highlight video. We can even set up a green screen studio in virtually any meeting space to give a custom background or set. A conference is a time when announcements are made and subject matter experts share information. 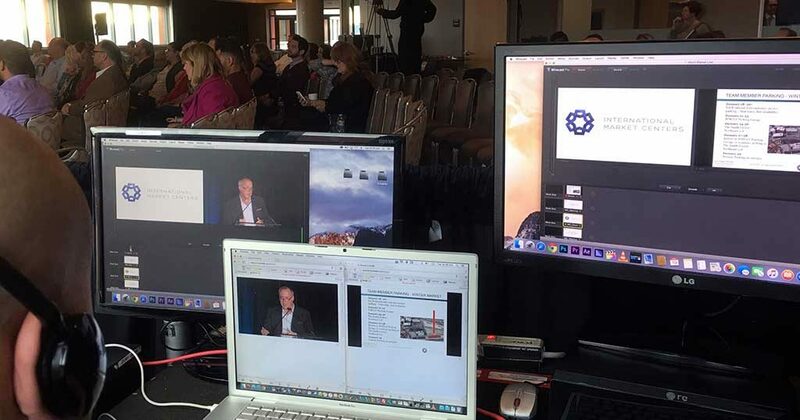 Aardvark Video has the capability to cover multiple presentation rooms simultaneously, to cover an event with multiple cameras, to live-stream to multiple locations, edit onsite and even help get your finished video uploaded to YouTube or other social platforms. We can capture business outings, bonding sessions, trips, dinners, awards ceremonies, etc. offsite or at the show. 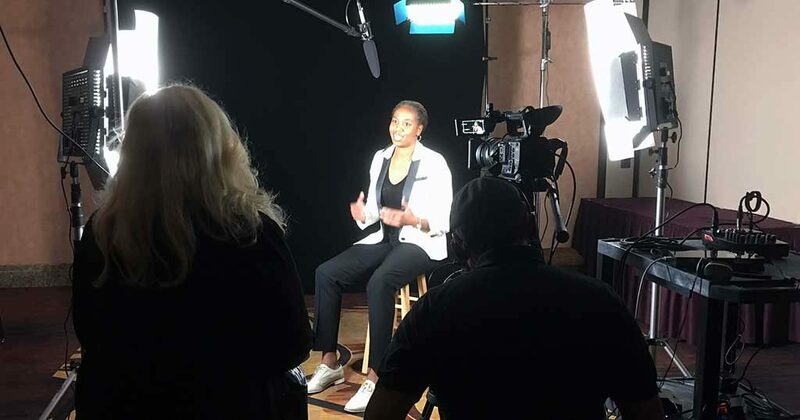 A video of testimonials from current vendors and attendees complete with exciting, motivating show shots entices future attendees and exhibitors to attend your event. Conference highlight videos can be included on your website, used for social media marketing and reach far more people than your sales force ever could to market future shows. We also partner with shows to provide video services to their exhibitors as well. Often we are asked to document a show or a series of events such as the construction of an exhibitor booth with time lapse. With this we can generate excitement and viewer interest to events spread over many days. This also provides amazing insights into what a process entails. To many shows and exhibitors we are their #1 resource for trade show, conference and corporate event video production. 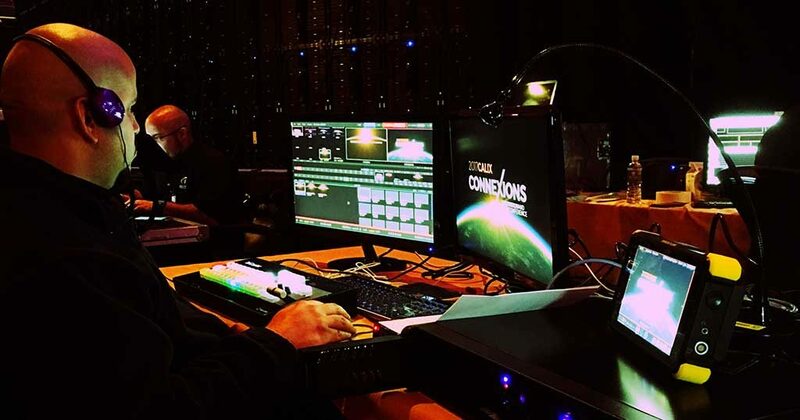 We provide video crews, single videographer and multi-technician crews, editors, live web streaming, and more. With our partnerships we are able to provide models, staging, lighting, aerial video and much more. As a local Las Vegas based video company, licensed, fully insured and OSHA certified we can handle tough deadlines and logistical challenges. We look forward to being your source for high quality video too!